1. Why do I want to provide a cash plan? Do I want to give my staff a benefit, am I looking to improve absence management rates or do I want this benefit to give the business a competitive edge? What do I want to achieve? 2. What is my budget/ how much do I want to spend? 3. Will I pay the cash plan premiums or will my staff? 4. How will I buy in the cover? Can I make use of my company procurement department or will I go through a specialist intermediary who has expert knowledge of the market? 5. What level of cover do I want? Is it just for the employee or for their families as well? Firms must be clear about what they want to achieve, according to Kevin Murdoch, senior propositions development manager at Aviva UK Health. If they want to get unwell staff treated and back to work quickly, then a low cost private medical insurance (PMI) plan may be more appropriate, while cash plans are appropriate for firms that are seeking a low cost benefit that helps towards the costs of everyday healthcare. 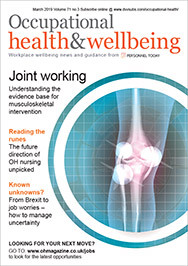 Richard Sear, chief executive of specialist health insurer National Friendly encourages HR personnel to consider whether staff members require access to a broad range of benefits or significant help towards a core group of commonly used treatments. “It is also vital to ensure that the amounts available under each benefit are appropriate and will meet the majority of the employees’ costs,” Sear adds. Meanwhile, Emma Exelby, sales manager at Bupa Cash Plan tells HR to consider the services they need. “Do you want a 24 hour helpline offering advice on tax, legal, medical and welfare issues, a designated account manager who is on hand to talk to you and your employees or marketing support to help you promote your benefits on an ongoing basis?” she asks. Once you have identified your reasons for buying in cash plans and determined your budget you will have a clear idea of what you will require from your cash plan provider. They can then talk you through the options available and provide a plan tailored to your organisation’s needs.